Something delicious has been baked at Walkers. Walkers Oven Baked is a tasty crisp baked in the oven for extra crispy crunchiness, and all the great taste of Walkers. Why bake something once, when you could bake it twice? Our super crunchy Walkers Baked contain 50% less fat than potato crisps on average, and you can't argue with that. Walkers Oven Baked are available in a variety of flavours and pack sizes. 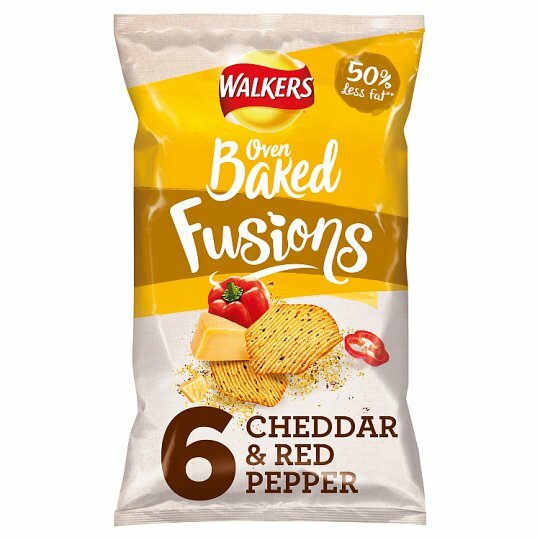 If you like Walkers Baked Fusions, why not try our Oven Baked Crackers? Crispy Crackers have a scrumptiously crunchy bite with the great taste of Walkers and 30% less fat than regular crisps.